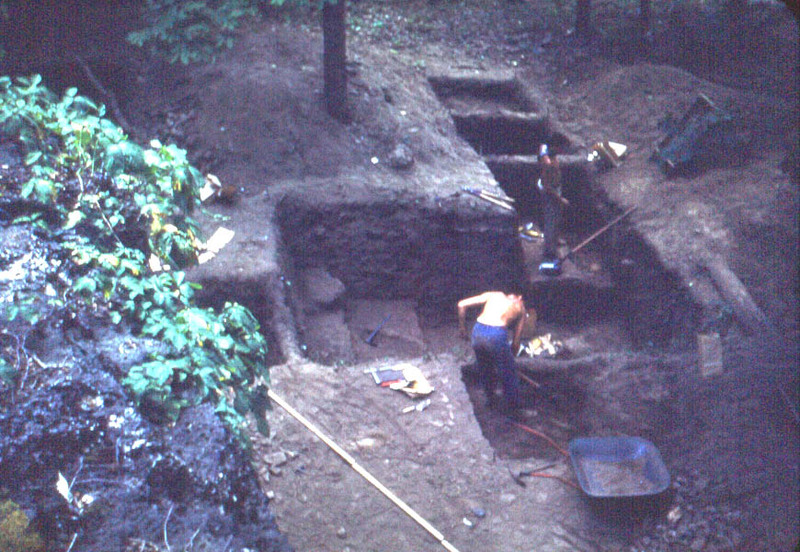 The Rice Rockshelter is an important archaeological site along Mill Creek near its junction with the White River. The site was extensively excavated before the site was submerged under the water of the Table Rock Reservoir. The stone tools from the site belong to the technological traditions that are described as Archaic and Woodland. 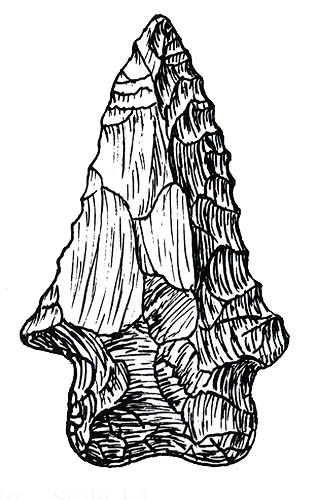 The Rice Lobed point type was based upon examples excavated at the site during the 1950s. The site was excavated a combined team of students from the University of Missouri and amateur archaeologists from Springfield, MO. 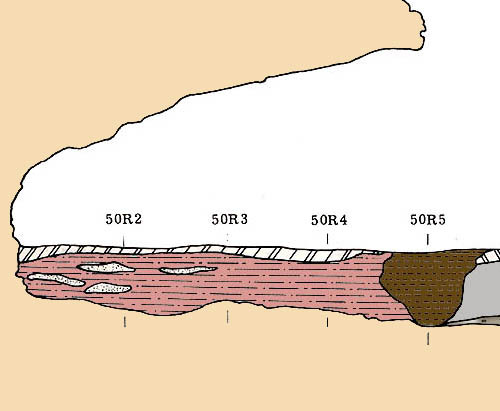 Bray, Robert T. 1956 The Culture-Complexes and Sequences at the Rice Site (23SN200), Stone County, Missouri. Missouri Archaeologist 18(1 & 2):47-132. 1963 A Descriptive System for Projectile Points. Missouri Archaeological Society Research Series. 1. Special thanks to Bob Bray who discussed the Rice Rockshelter with me at his home in Columbia, MO. Thanks to Candace Sall, Curation Specialist, American Archaeology Division for her assistance in researching the curated archaeological collections of the University of Missouri - Columbia. The images reproduced at this website were graciously provided by the American Archaeology Division (AAD) Museum and Missouri Archaeological Society. A warm thanks to Neathery Batsell Fuller for her advice on the content of the webpage.